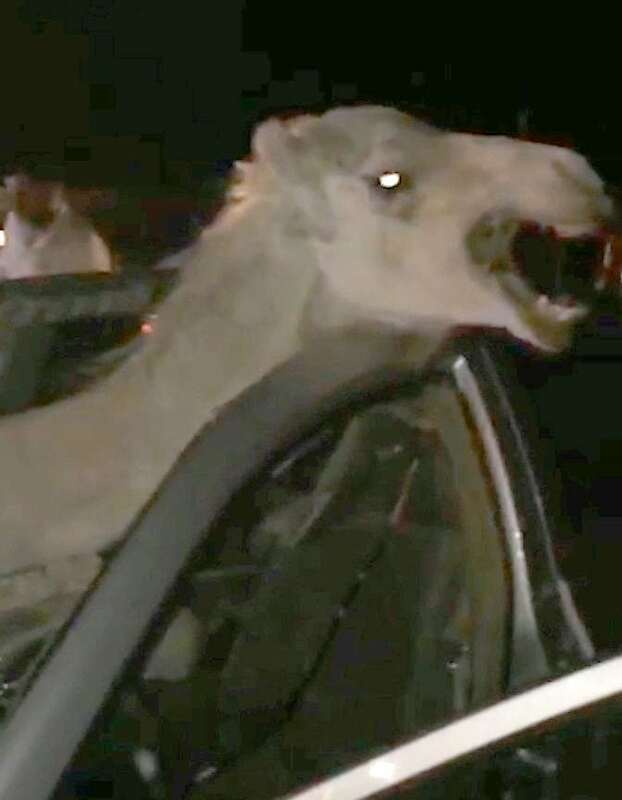 This is the bizarre moment a CAMEL became trapped inside a CAR after a head on collision – looking like a scene from Jurassic Park. 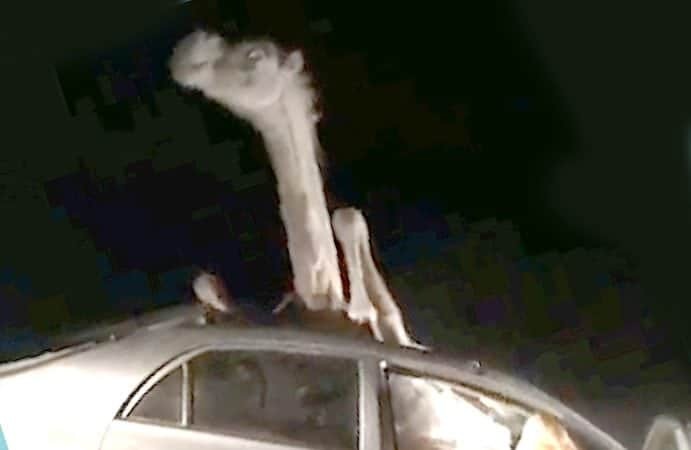 The terrified animal writhes around with its head sticking out of the sun roof while its legs are coiled up in the front seat of the silver five-door. The driver escaped unharmed – but passers-by battled for nearly four hours to rescue the camel. 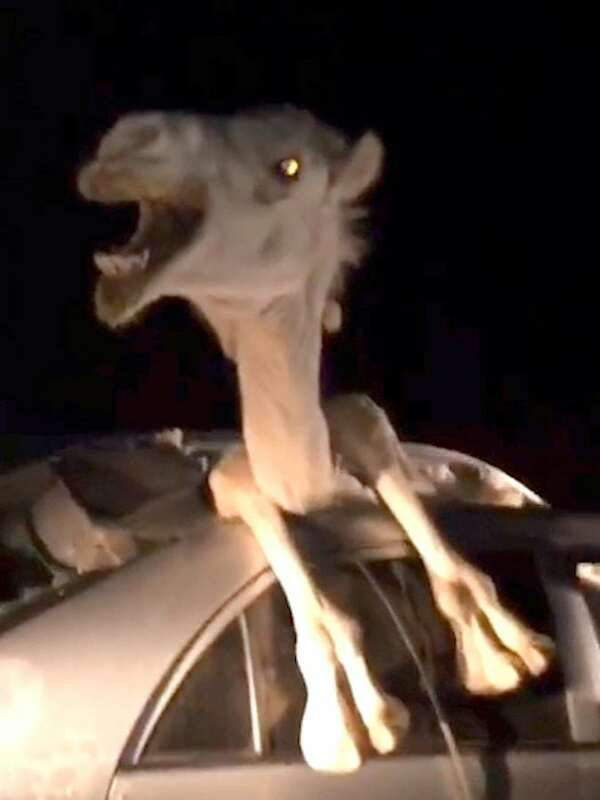 Eyewitnesses saw the speeding car collide with the animal which stepped onto the highway near Bikaner in Rajasthan, India, on July 9. 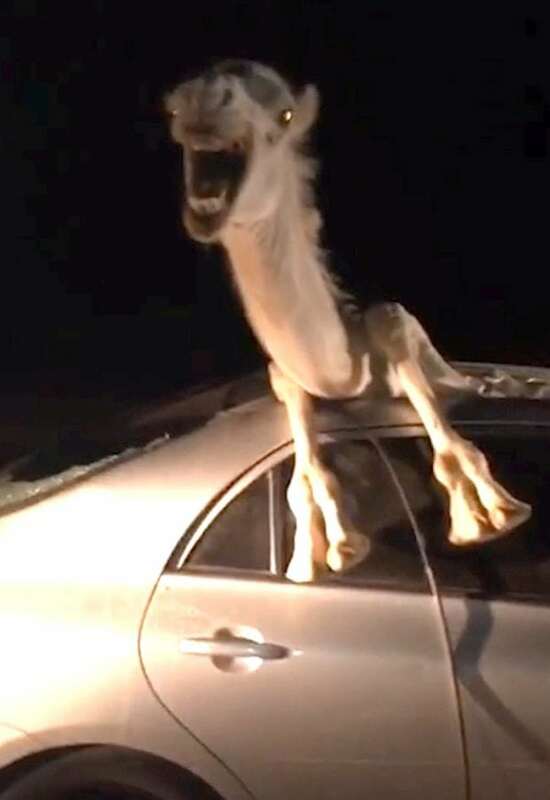 The camel flew into the car, shattering the windshield. 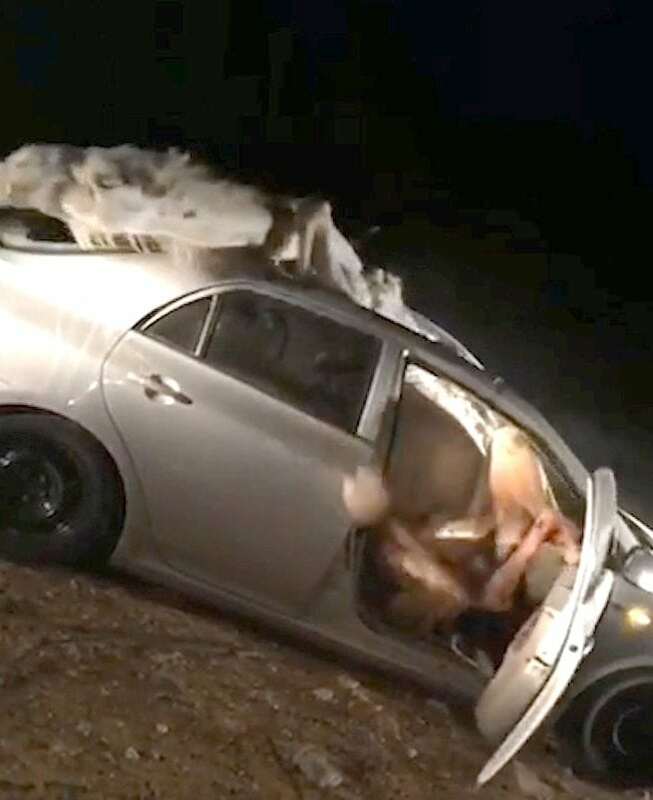 The injured driver was taken to hospital and the roof of the car was cut open to free the badly injured camel. The animal is being treated by vets.